Ridge gourd is rich in beta carotene, dietary fibre, vitamin C, zinc, ribloflavin, iron and magnesium. This vegetable is called Beerakaya in telugu and Peerkangai in tamil. Ridgegourd Kootu is prepared by cooking Ridge gourd and moong dal together. It can also be cooked with toor dal and channa dal. I usually prefer moong dal for last minute cooking, as it doesn't need to be soaked. 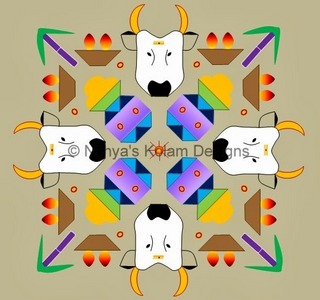 This Kootu is served as a side dish to Rice. 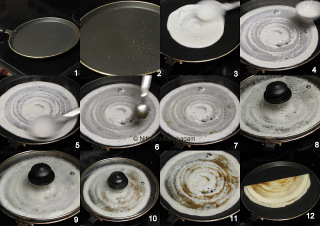 Please check below for step by step instructions and pictures for preparing South Indian Peerkangai Kootu. Wash and cook moong dhal by adding 1/2 Cup water. Pressure cook for 3-4 whistles. If you need dhal water for rasam, then add more water. Once dhal is cooked, drain the extra water for rasam. Wash and peel the outer skin of Ridge gourd. Don't have to scrap the whole green skin. Cut into small cubes. Heat Oil in a pan. Add mustard, cumin seeds, curry leaves, channa dal ,Urad dal and asafoetida powder.When channa dal turns golden colour, add onions. Fry till onions turn translucent. Add ridge gourd pieces and fry it for 2 mins. Add tomato followed by coconut and fry till tomatoes turn mushy.Add Cooked dal, salt, turmeric powder, coriander powder and chilli powder. Add 1.5 cups of water . Mix well and close it with lid. 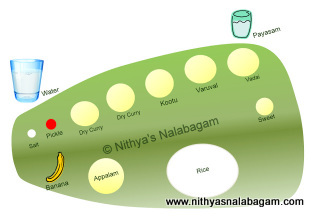 Allow the kootu to boil and thicken, check whether ridge gourd is cooked. Lastly garnish with coriander leaves. Adjust chilly powder to your taste. Kootu looks very tempting,loved ur presentation too..
We have the peerkangai over here and I use it for sambar, at time a simple kootu. I like your version of kootu has the right balance of flavors and the thick gravy is really uplifting my taste buds. nice presentation ,lovely click,delicious gravy perfect with hot rice.